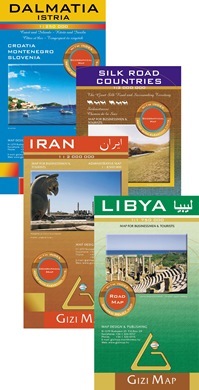 GiziMap concentrates on mapping the countries of Asia, northern Africa, the Middle East and the Mediterranean Area. They also produce some street maps. 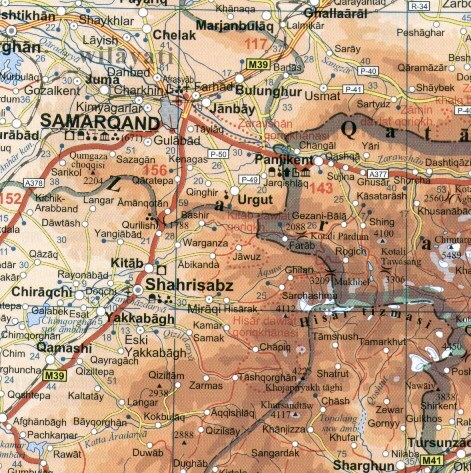 Detailed and attractive general maps, mostly with an administrative map included. Plenty of names of mountain ranges, peaks, valleys, deserts, spot heights, swamps, salt flats, glaciers, rock outcrops, plains, National parks and other geographical features are shown. 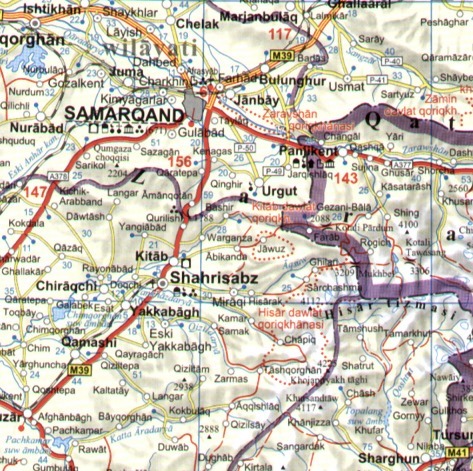 All place names are transliterated, with alternative versions provided where necessary, particularly in the border areas. Terrain features such as salt flats, glaciers, swamps, deserts and flood plains are distinguished by different graphics. Oases, water wells and numerous spot heights are marked. Symbols denote places of tourist interest including major places of worship, palaces, temples, beach resorts, antiquities, archeological sites, museums, tombs, world heritage sites, forts and archaeological remains, national parks and protected areas, beaches, historic sites, natural curiosities, locations with tourist accommodation including yurt camps etc. Several categories of roads are distinguished, including selected minor roads and tracks, with intermediate driving distances marked on many routes. Railways, shipping routes, airports and ports are marked and administrative region boundaries (and disputed frontiers) are shown. Street plans of major cities are often included. The map has bold altitude colouring to provide a vivid picture of the region’s topography. Altitude colouring has been replaced by relief shading to provide a clearer background for the road and rail networks.